Beautiful angels of earth. Woah. What a week. So much has happened in the past 7 human days that my mind and heart are both blown! 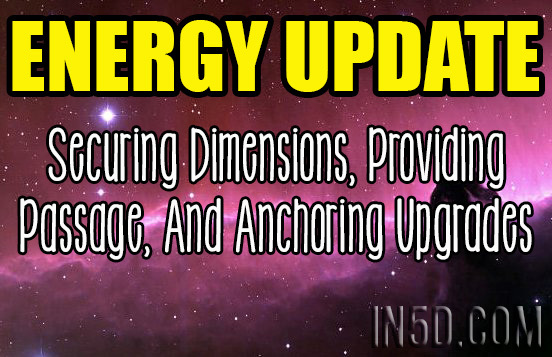 Though many of us don’t need ‘proof’ that ascension is happening, the widespread impacts of energetic shifts are now being recognized (and felt) by the general population. Big news for all this week is that we have been sitting on a higher Schumann resonance measurement than ever before recorded. We know it’s a big deal when such crude instruments are now registering that the vibrational resonance of our earth HAS shifted. Many of you are currently experiencing strong re-alignment symptoms that are connected but not reducible to this flux. Flu, migraines, existential questioning – this is all pat of it. Doing gridwork has been shifting rapidly in response to our rapid vibrational transitions on earth. As I explained in the Atlantis video, what we’ve been doing with the lines has created the space for the emergence of old knowledgeS (exciting). With those old knowledges, it seems, we have also been pulling up some dark and lower vibrational entities/memories that were implanted on the lines as a way to deter us from handling them. For several months, we’ve also been dredging the earth for of all energies and entities that are not here for the highest good of Gaia and her children. The last few days has seen a corner turn on the effort. I am being encouraged to recommend that those of you who are waiting for my word – now is the time. To those moving out old entities. I remind you. We are not in a war on earth. If you turn to battle consciousness with those entities, you’re giving them a way to stay in this dimension. They are tricky, mean, and can be rather sneaky. If there is anything left unhealed in you, they will see it and try to use it against you. This is one of the main reasons it is SO KEY for lightworkers to do their self work. When there isn’t anything inside of you left but love, these beings can’t touch you. They try, but they can’t. I opened a doorway on Saturday night through which I ushered entities who no longer matched our vibration and were not choosing love out. (My loving space twin was here manning support – thanks to him for showing up and for selflessly supporting our mission.) It is this method to which I now turn. Beautiful souls. Murdering and violent treatment of entities who hurt us is not going to solve our problems or vex them from our existence. In order to secure light and love into our reality, it is that what we need to use to create it. Choosing love in this context for me has meant providing safe passage out to those who wish to leave. Those who don’t want to voluntarily remove themselves are also being given safe passage into their own dimensions and war realities. They, just like we, have free will and if that is what they want to do, it is my opinion that we let them. It is possible to give them space to live their lives without having to give up our own. The doorways are handled, so please leave that to us. I’m sharing the task so you can feel relief about it. The love-field concept is where the Galactics would like most of you to focus. I can feel many lightworkers currently working through 4th dimensional consciousness. Loves, this message is especially for you. Many of you are being initiated through current galactic happenings. In order to shift into 5 as well as to step into your next roles, you’re going to need to leave battle consciousness behind. If you feel you are being tested, you are. How do you pass? Choose love, beautifuls. It is the answer. Every time you do so, you anchor its vibration more into earth.